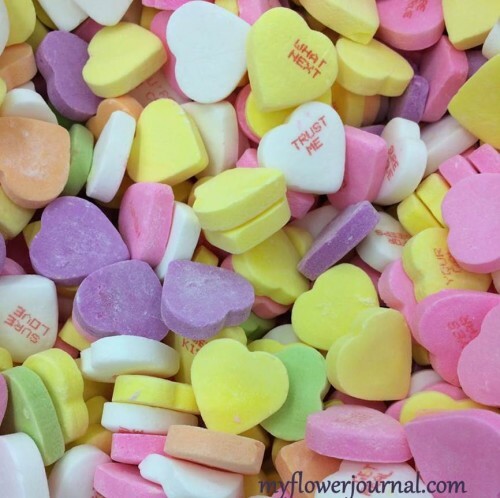 Valentine conversation hearts add so much color to the month of February! Inspired by the bins of Valentine candy I saw at the grocery store I made some pastel splattered hearts for Valentines Day. They can be used to make cards, garlands or for other valentine creations. First I did some washes of watercolor on watercolor paper. You could skip this step and use pastel colored cardstock, but I like the texture and variation in color a watercolor wash gives. 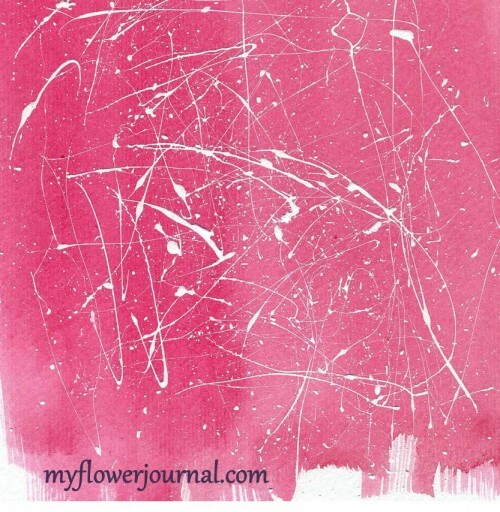 Use a size 8 round acrylic brush and splatter white acrylic craft paint on your paper. Use acrylic craft paint found in a bottle not a tube. Load your brush with lots of paint and flick it across your finger. You can see a video of how I splatter here. 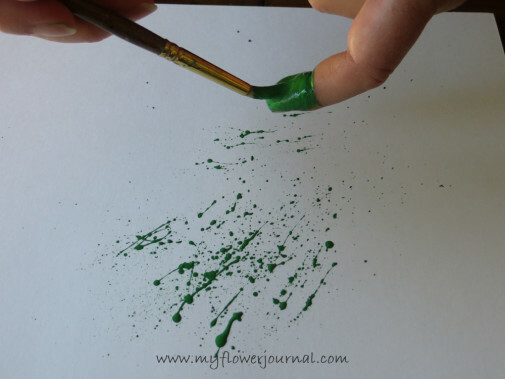 Turn your paper different directions so the splatters have a random feel to them. Here are some tips making a messy project like splatter painting easier to clean up. 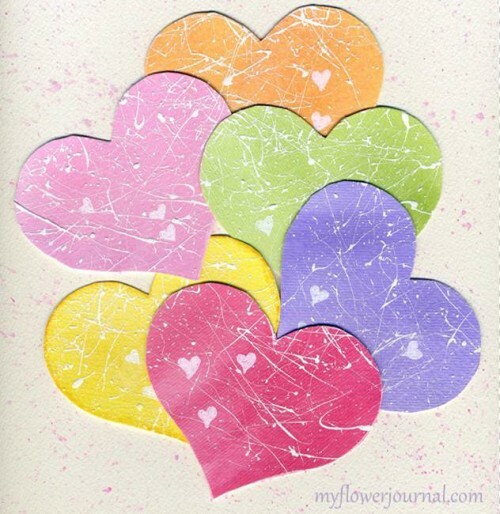 After the paint splatters dry use a heart shaped stencil or cookie cutter and trace hearts on your splattered paper.After you cut them out you can use a white gel pen or Sharpie paint pen to add some small white hearts. 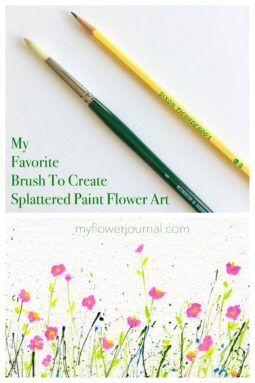 FAQ and a video on how I splatter paint is found here. I love the spontaneity of those hearts! 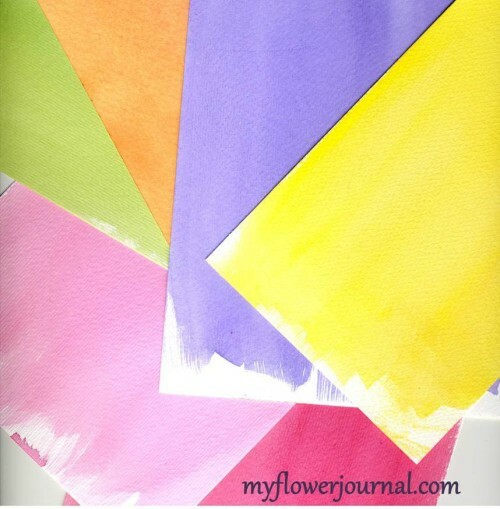 And doing your own color hearts on watercolor paper makes it all more ‘real’ and artistic. What a lovely way to make cards. Thanks Tammy for sharing your ideas.. These are so pretty. Thanks for sharing your techniques. Very pretty! I’ll have to show this to my husband, he’s the artist in the family.